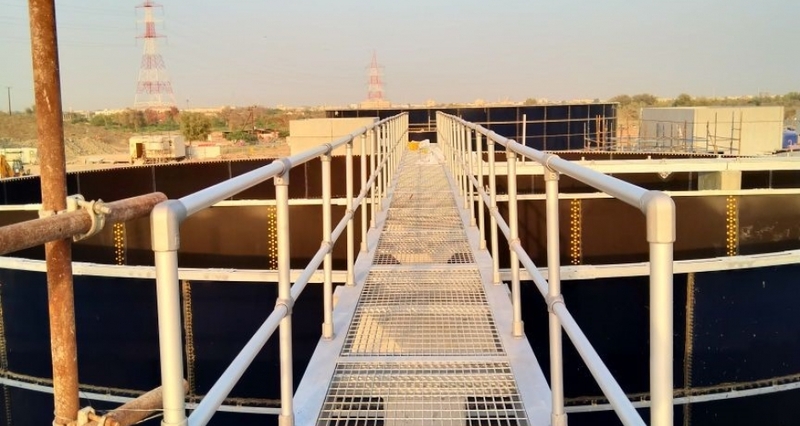 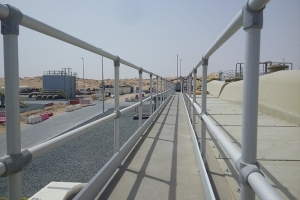 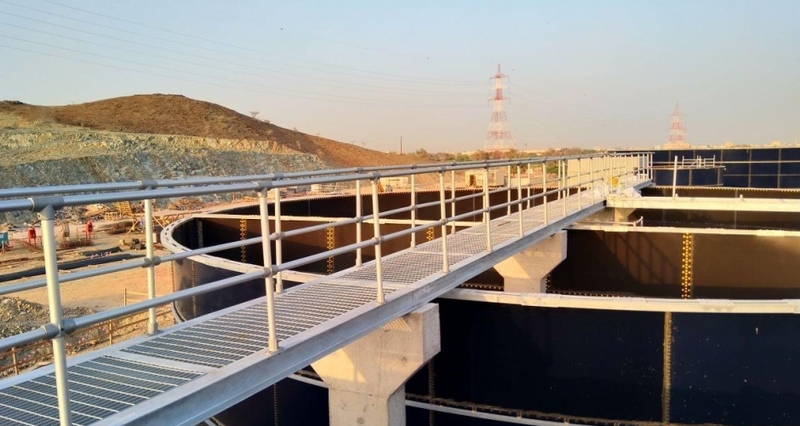 The Sharjah Directorate of Public Works had to secure the walkways on their Sewerage Treatment Plant in Kalba with guardrail. 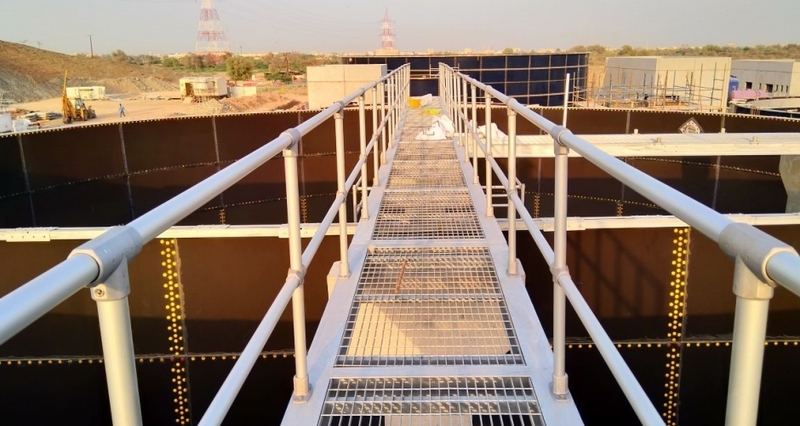 Aluminium guardrail built out of KEE LITE fittings and aluminium tube has been the solution of choice because anodised aluminium is a robust and corrosion resistant material. 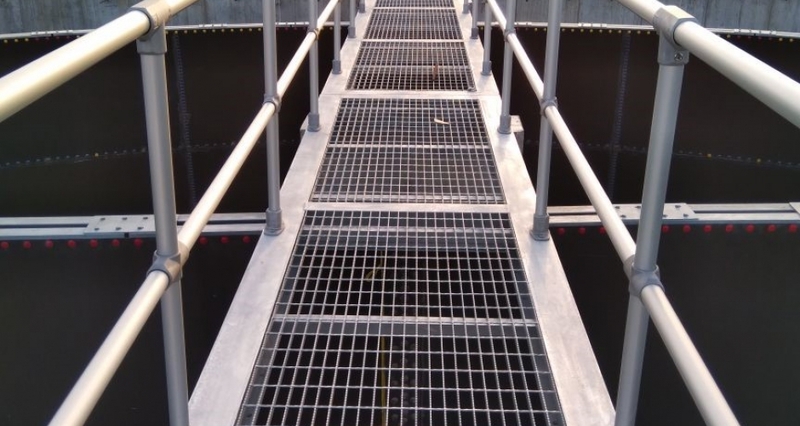 If you have to secure your waste water plant with a guardrailing, please do not hesitate to ask for your specified quote!